Clinton is a professional dancer, choreographer and performing artist specialising in Brazilian Zouk and Samba de Gafieira with over sixteen years of dance experience. He has a reputation as being one of the best and most technical zouk dance instructors in the market today. He started dancing in 1999, when he joined Leandro Ferreira’s dance company, where he stayed for four years and began to hone his skills in samba, bolero and east coast swing. Since then, he has been a member of various dance companies including Carol Marques’ ballroom dance company, where he performed for two years and later of Renata Peçanha’s illustrious dance company, in 2007. Clinton has won various awards in competitions, including third place in the II International Zouk and Lambada Congress in Rio de Janeiro and after only one month of partnership and training with Cristi Boone, they placed among the top ten in the 3rd International Zouk and Lambada Congress of Rio de Janeiro Competition. 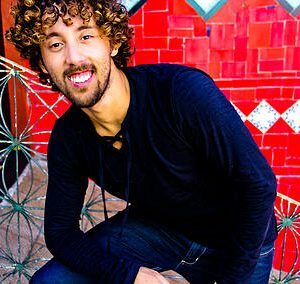 Since beginning his partnership with Cristi, he has had the opportunity to teach and perform in world-renowned zouk events throughout Brazil and Europe, such as Uaizouk in Uberlândia, ZimZouk in Porto Alegre, Recife Zouk Congress, BSB Dança Zouk Congress in Brasilia, Zouk in Rio in Rio de Janeiro, International Zouk and Lambada Congress in Rio de Janeiro, Vienna Zouk Congress, Zouktime in Brno, All Stars Festival in Budapest, Prague Zouk Congress, Dresden Zouk Family Meeting, Berlin International Zouk Congress, Zurich Zouk World Cup, Corpo Carioca in St. Petersburg, Oman Zouk Holiday in Muscat, Oman and various other cities around Europe to give workshops. During 2014 and 2015, he has been brought to Vienna various times to stay as a long term zouk and samba instructor with Vienna’s top dance schools – Vienna Zouk and Ipanema Zouk. Clinton and Cristi were instrumental in the growth and founding of Ipanema Zouk, the organisation of the first Mega Zouk and Samba Weekend, and in improving the zouk scene in Vienna.